Presque Isle county, CR638 to Ocqueoc Falls Campground section whitewater kayaking, rafting, and paddling information. your skill yet current is slow enough to allow you time to manuever, have fun. The Ocqueoc River is great. of Presque Isle County and the water flowing gracefully down Ocqueoc River will make you feel great. There aren’t any hotels right nearby but if you're willing to drive a short distance then no problem but you'd better reserve in advance because these hotels fill up quick. The starting location is a reasonable drive from Alpena, there's a road map further down the page with more info on that. Some people prefer whitewater rafting and some kayaking, either way this is an area with not too many other rivers for that. 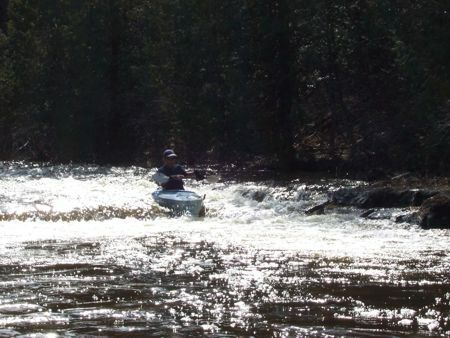 There are some good stretches to paddle in this river system, the CR638 to Ocqueoc Falls Campground stretch is one of them. 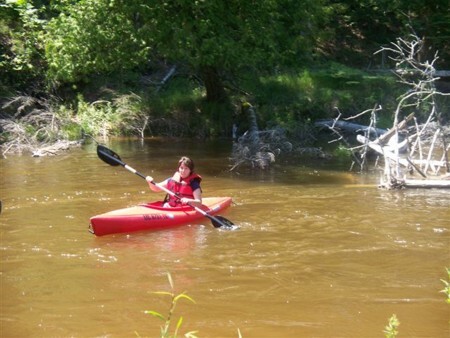 These outdoors activities are available near Ocqueoc River.